Liz Brasher Envisions a New Era of Soul on 'Painted Image' The debut album from the Memphis artist offers a uniquely modern take on the Stax and Sun-style soul threaded into her adopted hometown's musical DNA. 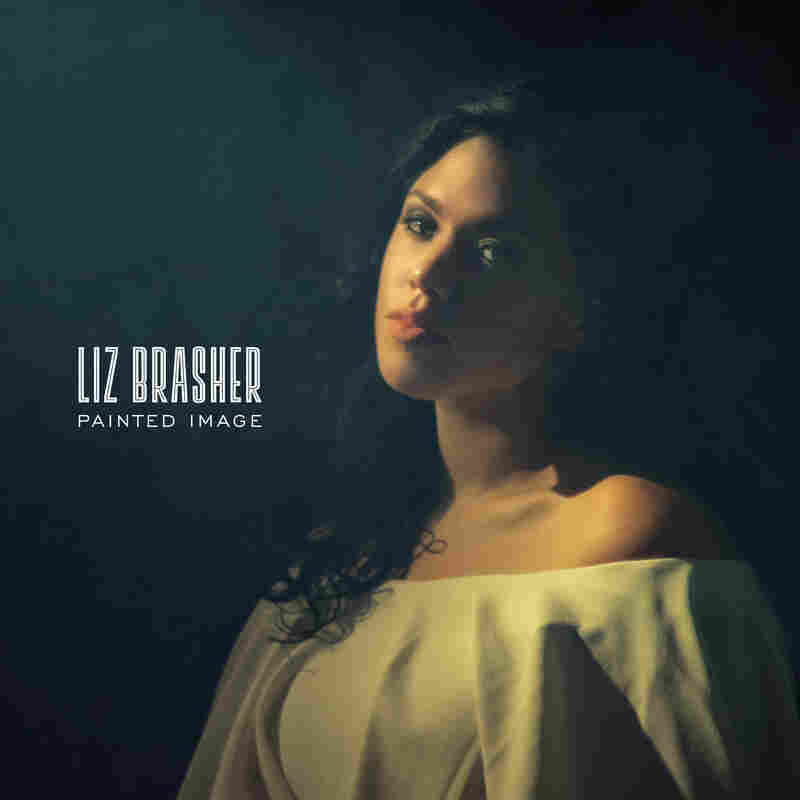 Liz Brasher's debut album Painted Image is out Jan. 18 on Fat Possum Records. Liz Brasher found her voice while singing in the choir of her all-Spanish church in North Carolina. As she grew older, the singer forged connections with more secular influences, from the Beatles to Delta blues. While living in Chicago, Brasher dove into the world of Southern soul music, an influence that lies at the core of her layered, expansive full-length debut. After relocating to Memphis with a new appreciation for the South and its rich musical history, Brasher tapped into the city's creative scene to mold something of her own. It's easy to hear Memphis' retro-soul influences threaded throughout Painted Image, which was recorded in the city's historic Ardent, Royal and Electraphonic Recording studios. The pulse of a golden era when Stax and Sun Records were cutting hit after hit beats loudly throughout the record, but Painted Image is far from a resurrection of a bygone era. Brasher's use of sharp and poetic storytelling, often punctuated by biblical imagery, brings an engaging and uniquely modern perspective. It builds impressively on Brasher's 2018 EP Outcast, which followed her induction as one of NPR Music's first Slingshot artists. The fiery, unapologetic "Blood of the Lamb" kicks off with a triumphant horn section, rumbling organ and rolling electric guitar as Brasher speaks her truth: "I am dressed in black / I walk in white," she sings. "Thoughts unclean / I speak of light / Who are you to tell me who I am?" Backed by an expertly arranged string section, "Cold Baby" showcases Brasher's innate ability to project a complicated mix of human emotions onto a shimmering and complex vocal performance. She dives into overwhelming love and devotion in the blissful "Air," while the groove-driven "Body of Mine" explores themes of mortality while embracing the unknown. The record closes with Painted Image's simmering title track, which picks through the ashes of a dying relationship. Even at her most uplifting, Brasher isn't afraid to explore and accept life's darker moments. All of these elements come together in Brasher's ardent, echoing vocals, as she thoughtfully dissects an array of sounds and styles, from fierce rock and roll to melodic gospel devotionals. At every turn, Painted Image finds beauty in the fragility and conflict inherent to the human condition.